The Chupacabra Ate the Candelabra: A Cover Reveal! 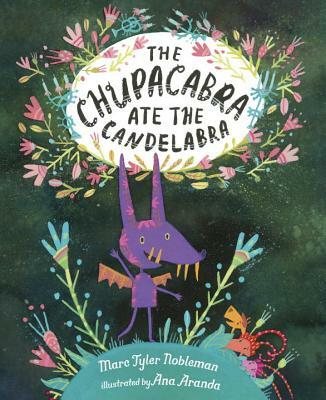 We are excited to participate in the cover reveal of The Chupacabra Ate the Candelabra, an upcoming picture book written by Marc Tyler Nobleman and illustrated by Ana Aranda! With a title like that, you can tell how much fun kid readers are in for, as this early review makes clear: “A nervous herd of goats tries to convince the legendary chupacabra, a monster that allegedly eats goats, that there are other culinary surprises he may enjoy.” –Publishers Weekly. 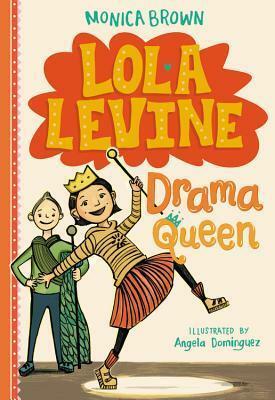 With its hilarious dialogue, trio of bumbling goats, and fantastically zany villain, this unique, laugh-out-loud story based on a legendary monster is sure to crack up kids and grown-ups alike. Like most goats, Jayna, Bumsie, and Pep’s greatest fear is being eaten for dinner by the legendary chupacabra—it’s common knowledge that goats are a chupacabra’s favorite food! One night, tired of living in fear, the impetuous goats whip out their trusty candelabra and head off to find the beast and scare it away before it can find them. Little do they know that candelabras are the chupacabra’s third-favorite food . . . and he isn’t about to stop there. This chupacabra has quite the appetite, and the goats are in for a big surprise! Intrigued? So are we. The release date is March 7, 2017. While we patiently wait to see the book in person, let’s feast our eyes on the fabulous cover created by Ana Aranda, a bright new star in the field of children’s illustration, and one we’re proud to claim as a Latinx creator! You met Aranda in an illustrator round-up we featured earlier this year. 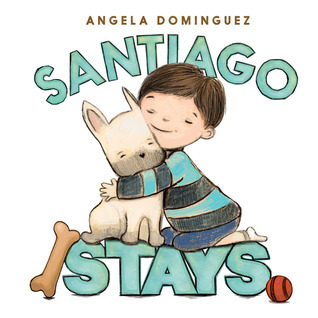 We look forward to reading the full story and enjoying all of Ana’s adorable illustrations! 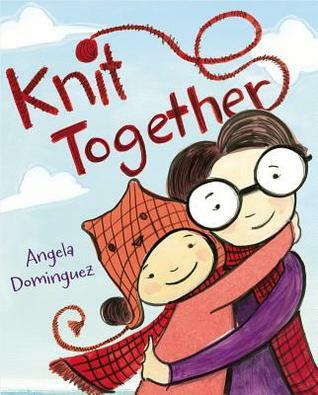 This is the first in a series of posts spotlighting Latina illustrators of picture books. Some of these artists have been creating children’s books for many years, while others will have their first book out this year. Some of them live in the US, while others live overseas. They come from many different cultural backgrounds, but are all passionate about connecting with readers through art and story. Please look for their books at bookstores and libraries! 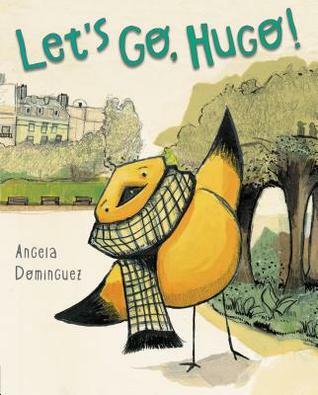 Angela Dominguez was born in Mexico City, grew up in the great state of Texas, and lived in San Francisco. 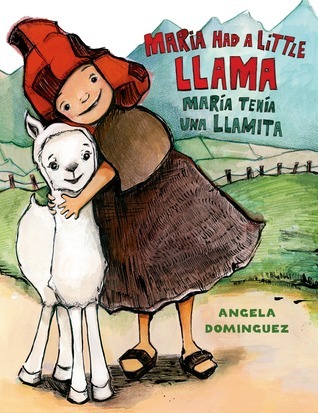 She’s the author and illustrator of picture books such as Let’s Go Hugo!, Santiago Stays, Knit Together, and Maria Had a Little Llama, which received the American Library Association Pura Belpré Illustration Honor. 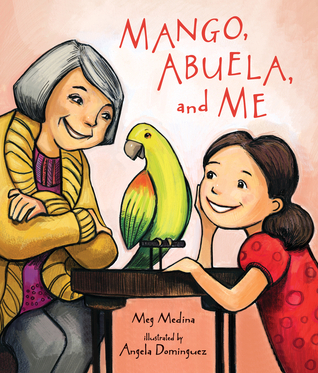 Recently, she received her second Pura Belpré Honor for her illustrations in Mango, Abuela, and Me written by Meg Medina. Her new books How do you Say?/Como se Dice? 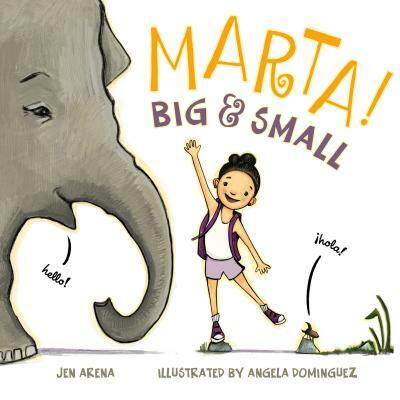 and Marta, Big and Small (by Jen Arena), will both be published later this year. To see more of Angela’s work, visit her website, blog or twitter. A: Like many of my artist friends, I’ve always liked to draw. Growing up, I was obsessed with books and art in general. I’d spend evenings watching VHS tapes and drawing all night (if I wasn’t doing homework). Still, I didn’t really consider art something I could do professionally until high school. Fortunately, my high school really had a great art program and teachers who were supportive. Then I received a partial scholarship to Savannah College of Art and Design based on my skills and academics. That sort of sealed my fate as a professional artist. A: I still love drawing with pencil. It feels so good in my hand. I even love the way a freshly sharpened pencil smells. I also enjoy working with ink especially with a dip pen and brush. I just like how there is less control. It forces you to work boldly and confidently. My last favorite medium is tissue paper. I just really enjoy collage and the texture it produces. It’s really fun to work with all three at the same time. In graduate school when I saw that Evaline Ness worked that way, I was inspired to do it even more! Juana Medina was born in Bogotá, Colombia, where she grew up, getting in a lot of trouble for drawing cartoons of her teachers. Eventually, all that drawing (and trouble) paid off. Juana studied at the Rhode Island School of Design – RISD (where she has also taught). She has done illustration & animation work for clients in the U.S., Latin America, & Europe. She now lives in Washington, DC. where she teaches at George Washington University. Juana draws and writes stories from a big and old drafting table, in an even older -but not much bigger- apartment. 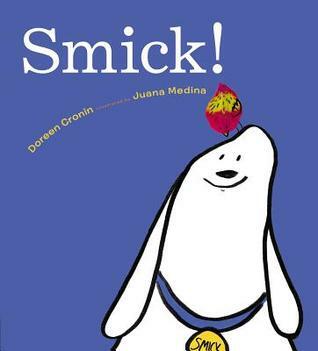 Juana is the illustrator of the picture book Smick! by Doreen Cronin. Her new books 1 Big Salad: A Delicious Counting Book and Juana and Lucas will be published later this year. You can find out more about Juana on her website and blog. A: I grew up in a family where pretty much everyone had some kind of artistic outlet; my grandfather was a great draftsman, my grandma was a fantastic carpenter, my aunt a potter… everyone found a way to use arts as a way to express themselves, so it took me a while to realize not everyone in the world did this! Moreover, I went to a school that valued arts very much. So for the longest time, I thought art was just one more fabulous aspect of being human. I didn’t think of art or my ability to draw as super powers; they were simply an added feature, almost as a bonus language. Now that I recognize not everyone draws, I have dedicated a lot of time to using this ability as best as possible, to tell stories. A: Ink is one of my favorite mediums, because I find it very expressive. I enjoy the high contrast between the stark white paper and the very dark black ink; it makes it very exciting to see lines and traces -almost magically- appear on the page. A: Picture books are important because they don’t require more than visuals -and a handful of words- to understand a story. And understanding a story can lead to a shared experience with those who have also read the book. This not only serves for entertainment purposes, but allows us to learn about other people’s feelings, struggles, and dreams. Picture books also allow us to see the world through a different point of view and they tend to teach us things we perhaps didn’t know about, like how people live in villages we’ve never visited, or what dinosaurs used to eat, or how giant squids live in the darkest, deepest waters in the ocean, all valuable lessons to be learned. Ana Aranda was born and raised in Mexico City, where she studied design. From there, she moved to France, where she lived for three years while doing her undergraduate studies in illustration. Ana now lives in San Francisco thanks to a grant from the Mexican Fund for Culture and Arts (FONCA). 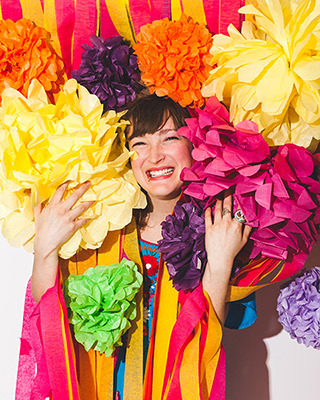 Her biggest inspirations are her childhood memories, the vibrant colors of Mexico, and music. Her work focuses on transforming the every day into fantastical situations, and often includes images from nature and whimsical creatures. Ana’s work has been featured in different galleries and museums in the United States, France, Mexico and Italy. 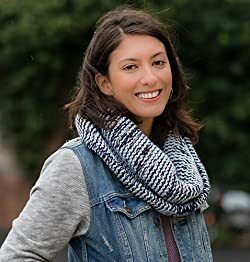 In San Francisco, she has painted murals in the Mission District, for the Consulate General of Mexico, and for the prestigious de Young Museum. Ana’s illustrations can be found in picture books published in France and Italy. Some of her forthcoming titles include “J’ai Mal à Mon Écorce” (Éditions du Jasmin, France, 2015). She also illustrated ¡Celebracion! by Susan Middleton Elya, coming in 2016 and The Chupacabra ate the Candleabra by Marc Tyler Nobleman, coming in 2017. A: When I was a little girl, I lived in a colorful city in Mexico called Cuernavaca, also known as the “City of Eternal Springtime”. My childhood memories in this city full of flowers always inspire me to create colorful and joyful pieces for children of all ages. I have also been very inspired by my family, teachers, Mexican muralists and printmakers, growing up learning about women artists such as Remedios Vario and Leonora Carrington. A: I first learned to use acrylics when I was around 14 years old and fell in love with it! Since then I’ve been playing with bright colors and mixing that technique with others such as pigments, scratchboards, etc. I’m in love with color and finding how every color can be part of an emotional experience. A: Picture books are important because they help you travel to different worlds! Brown, Monica. 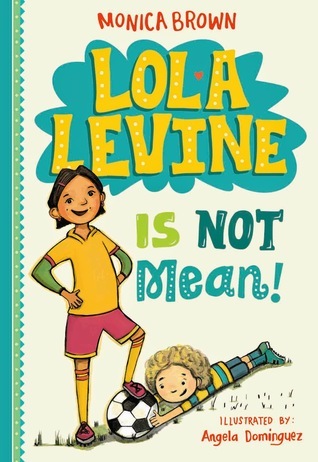 Lola Levine is NOT Mean!